There are many ways in which an individual can become involved in a Brooklyn motorcycle accident. Some examples include riding a motorcycle and being sideswiped by a car, colliding with another motorcycle, or crashing due to poor road and weather conditions. One thing is certain; no two motorcycle accidents are alike. Moreover, statistics show that most of the time it is a combination of factors that result in motorcycle accidents. 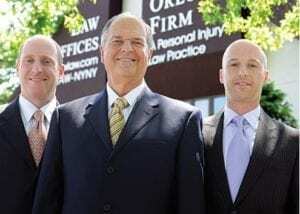 Are you suffering from a motorcycle accident related injury? Contact our Brooklyn motorcycle accident lawyers today at The Orlow Firm for help recovering compensation for your injuries. Are you suffering from a motorcycle accident caused by the negligence of another? If so, contact our Brooklyn motorcycle accident attorneys today for information regarding your legal rights.